I’m not sure exactly what I expected from the book. Self-help? Sympathy? Magical contentment? Instant Prince Charming, just add water? At any rate, it was a book written for my specific demographic and therefore I figured it should “work” on me, whatever the end result. 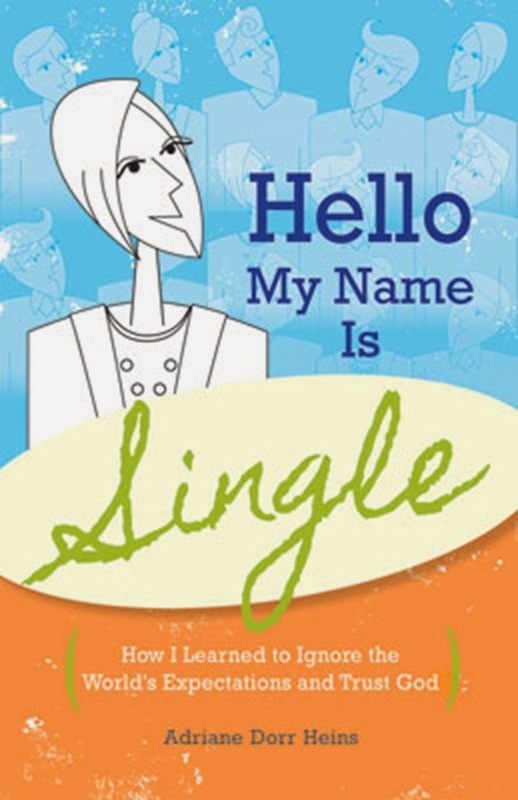 In style and size Hello, My Name Is Single is a breezy read. Mrs. Heins sticks mostly to the conversational-yet-broad-audience style borrowed from her blog writing. Cultural references and current statistics keep the chapters snappy, though they will also make the book dated at some point. Meatier and more deeply interesting are the quotes from church fathers and current pastors. 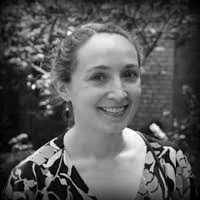 Mrs. Heins has done some worthwhile research, for which the reader is grateful, because here are intriguing intersections of ideas and information. Yet the research and statistics are nestled in the author’s own honest life experiences, related in a humorous and encouraging way. Through everything she remains theologically sound and points the reader to the Word of God and to Christ. I finished the book in about two days, closed the cover, and thought, “Okay . . . so that was it?” I had not become completely contented and secure in my singleness, nor had I been emboldened to go out and convince some unsuspecting man to marry me with two flutters of my eyelashes. It wasn’t that there was anything wrong with the book; it was just that it was more of what I already knew. It was good theology, but it was all the same stuff I’d heard over and over for the past who-knows-how-many years. I had been hoping for some sort of change, and it really didn’t change me at all. Then one day not long afterwards I caught myself praying about my single state. Goodness! How long had it been since I had made that a regular practice? And slowly it dawned on me. Yes, this is a good book, because what I really need is not a self-help tome of surefire tricks for ending up married within a year. What I most need is to remember constantly that my life is in God’s hands. I need to repent and be forgiven. I need to pray without ceasing. I need my sight fixed on Christ, the author and perfector of my faith. Those things were exactly what Hello, My Name Is Single returned to over and over again, and apparently the message had been more effective than I’d thought. I began to realize that this book is not supposed to be a magnificent masterpiece of literature. Instead, it is meant to do what all good Lutheran teaching does. Like the liturgy I sing every day and the sermons my pastor pours into my ears each week, the main purpose of this book is to speak the truths I already know in ways I may or may not have considered. It is meant as one more instrument for the Holy Spirit to work through, showing me the deep realities of sin and grace that, without repetition, fade rapidly to shadows in the mind. It turns out that this book is not a life-changing volume that opens up some new path. Rather, it is the kind of life-maintaining book that keeps my feet on the right path. I didn’t get what I expected. I got what I needed. For that, my thanks to Mrs. Heins. It's funny because one of the first negative reviews on Amazon was a woman complaining about the book being like a rant about singleness and not enough of a guidebook. While I don't even think "rant" is an accurate word for it, the review actually made me more excited to read the book! That self-pity you mentioned is something I dwell in far too often, and hearing her story just reminded me that I'm not the only one who thinks being single is awful. As brothers and sisters in Christ, we rejoice together and weep together, right? And of course in her book she's constantly orienting us toward Christ. I had the exact same "so that was it?" reaction (it does end pretty abruptly), but I was very glad I picked it up. And you're right. It doesn't anything new, because there's nothing really new or worth saying other than that God is merciful and good, even in our singleness, even when it doesn't feel like it. You both remain, along with all our single brothers and sisters in Christ, in my prayers.